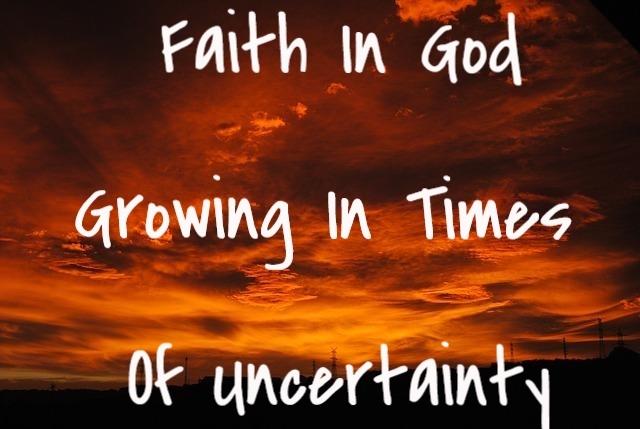 Having faith in God is vital during times of uncertainty. We need to be able to confront every doubt and fear with God’s word, if we are to grow in our love of and devotion to Him! My ruling desire is to be wholly given up to the Lord and to His work, and to show forth His praises from day to day. But when I aim at this most–I am baffled, opposed, and always hindered! I see what is wrong–but cannot avoid it. I see what is right–but cannot attain unto it. I know what I wish–but I cannot enjoy it. I read what God commands–but I cannot perform it. In the midst of all, I bless God . . .
for the promise of eternal triumph. Nothing can . . .
change the purposes of His grace for me. I change–He remains the same. I cry–He hears and answers. I ask for favors–and He kindly bestows them. I lament my folly–He whispers peace. Since it’s now the beginning of January, it’s a great time to consider what our goals are for 2014. I’ve talked about my health, fitness, and some of our basic personal finance goals over on my weight loss and debt repayment website; so here I will stick to our spiritual goals. 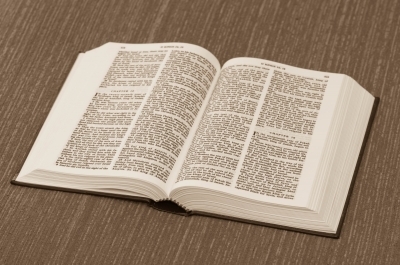 One of our primary spiritual goals is to read through the Bible in a year. We successfully did that back in 2012, but 2013 was a different story. We both have a Bible app on our phone that includes a daily reading. Instead of the traditional portions of the Old Testament, New Testament, Psalms, and Proverbs reading for the day, we will be reading straight through the entire Bible from Genesis to Revelation. We always found it very difficult to do the standard split reading program, because it was sometimes difficult (read: annoying) to have to cut off a reading in the middle of a thought or passage. 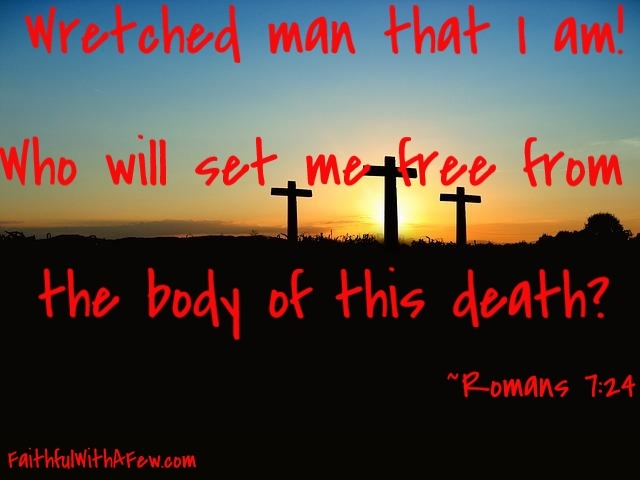 We also plan to do a study through the book of Romans. We will be setting aside time each week where we will do a thorough study (not just a simple reading) through the entire book. This will probably take us most, if not all, of the year. Another big goal of ours is to do a topical study. Before all the stresses of life and the health problems came along, we were doing topical studies all the time, but now they only come up when one of us has to teach at church. The two biggest topics that we talk about are personal finance and eschatology. We both have pretty solid views when it comes to personal finance, and it is a passion that we share, but there is always more to learn and we believe that studying it together will allow us to better apply it to our own lives and the lives of our clients. As far as eschatology is concerned my position is very firm while Sherrian’s position is somewhat firm, but a lot of it is based off of things she has heard through sermons/teaching and not from her first-hand study. I know she really wants to have a deeper understanding of this issue, so we will most likely dedicate some time to this study as well this year (and probably into the next). We also plan to be more intentional when it comes to our relationships. For different reasons both of us have a hard time developing strong, meaningful relationships with people, and it is far too easy to walk away instead of fighting through the uncomfortable stages. Over the last couple of years we have been looking at the importance of fellowship and having a biblical view of all relationships, not just marriage, and we both have been convicted about how little we have invested in relationships with other people. We have gotten better over the last two years, but we both see room for improvement. So that will be something that we will be focusing on this year as well. We also plan to focus a lot more on sharing our thoughts and ideas with you guys through this site, and hopefully setting up a podcast and a YouTube channel as well. We really hope to develop a community where we can all share inspiration, information, motivation, and even prayers with one another as we all grow in Christ. So we are hoping that you will join us as we try to make these goals a reality in the upcoming year. What are some of the goals that you want to accomplish during the year? What plans do you have set in motion in order to see those goals become a reality? Is there anything specifically that we can pray for or even try to find resources to help you reach your goals?